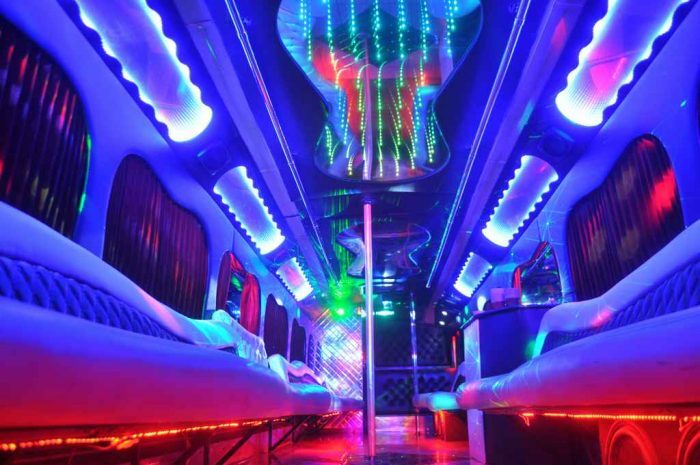 Why Rent an Atlanta Party Bus? A party bus or a party van is a large vehicle derived from a conventional bus and is designed to carry 10 or more people. Its purpose is mostly recreational.Atlanta party busoften include music systems, TVs, on board bars, stripper poles and in the extreme a Jacuzzi.The most convenient use of a party bus is when you have a lot of people you want to provide safe and entertaining transportation to. As the name suggests, you can have your party in the bus. An Atlanta party bus can also be defined as a luxury bus with a limousine interior. However, the main difference between a party bus and a limo is the amount of space. In a party bus, you can stand, dance, and still sit comfortably with the other 10 or more guests. So our party buses can be used as your party venue. Entertainment is a key component in a party bus. Atlanta party buses come complete with surround sound, TVs, a dance pole, Wi-Fi connectivity, club lighting and much more. The purpose of all this is to give the passengers an entertaining journey to their destination. The ability to dance, post pictures, enjoy a drink and all the entertainment that one would expect in a club wrapped up in the bus makes the experience worth having. It makes travelling by Atlanta party bus services with friends to an event memorable. It’s worth noting that most party bus services accommodate alcohol as long as the passengers are of legal drinking age. If you are considering a fun, unique and hassle free way to celebrate or impress your friends and family, you cannot go wrong with a party bus. Atlanta Party Bus services ensure that you arrive to your event in style and it is also a success. The convenience of a party bus lays in the ability to party with friends without worrying about who is driving. The customer friendly and professional chauffeurs ensure that you get to your event on time and equally give you tips to clubs worth hopping to. The chauffeurs are well equipped to handle any event and are well versed on the routes and shortcuts. The convenience that comes with Atlanta bus services is simply to help you have peace of mind and enjoy your occasion. Tinted windows is the norm with Atlanta party bus service providers. This means your party on the move is away from peering eyes of other road users and pedestrians. The privacy of your party is extended further to the party bus chauffeur thanks to a partition between your party and him. Keep the fun environment in the comfort of your bus without envious glances from bystanders and other motorists. A Party bus is known for being spacious. This gives you and your guest’s ample space to enjoy each other’s company while on the move. The spacious nature of Atlanta party buses ensures that a group of 10 travelling together can enjoy all the amenities without infringing on each other’s personal space. With proper planning, all your transportation needs are covered. A group of 10 travelling together can each enjoy drop off and pick up at their most convenient locations. Nothing beats that once in a lifetime experience of a bachelor party, nothing enhances the party as a party bus does.Get your whole crew into one of Atlanta’s most sought party buses and feel free to party like you want to in the comfort and luxury of the party bus. No need to designate a driver, all the party buses come chauffeur driven. This ensures everyone of your friends had the opportunity to enjoy themselves the entire evening. 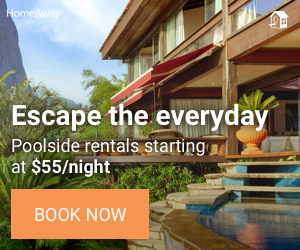 Enjoy the freedom of traveling to any location without worrying about traffic and parking. This will allow you to have uninhibited fun while guaranteed of unlimited stops, luxurious travel, exceptional customer service and most important a safe return home of all revelers at the end of the night. Atlanta party bus service providers have buses that carry 10 to 30 passengers. As a best friend, give the bride to be a memorable night out when the time to tie the knot is upon us. Gather your friends and close family and celebrate in luxury and style with the ultimate party bus experience. Enjoy Atlanta’s exciting nightlife with the comfort, safety and reliable transportation that a party bus guarantees. Enjoy the privacy of your party on wheels and go wild one last time before tying the knot. Give your guests a party and memorable night. 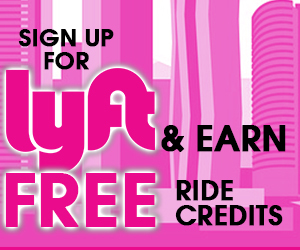 From the unlimited stops, worry free party atmosphere to the knowledgeable chauffeur who will ensure you get the best service on your Atlanta bachelorette party. Every wedding is a special occasion with numerous memories and a lot of excitement. Make your day extra special when you book one of Atlanta’s trusted party bus rental limos. 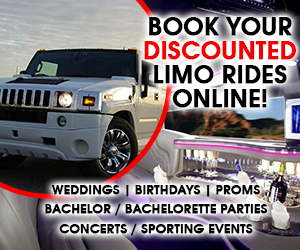 Choose to travel with your friends, family or brides maids in one of the luxurious limousines. Create lasting memories and enjoy traveling in sheer luxury and comfort to your platinum wedding day. Further, hire a party bus to get your family and friends all fired upfor the wedding party. Working closely with any of the elite Atlanta party bus companies to create your itinerary, you can rest assured that your transportation needs will be the least of your worries. 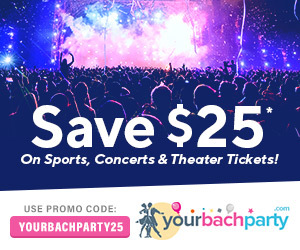 Want an exciting way to party with your friends and family as you usher in another birthday? Why not celebrate on a birthday party bus rental together? After all we only turn sixteen once. You may not have considered it before but a party bus is a great way to celebrate your birthday. Create unforgettable memories for you and your friends with an appropriately decorated party bus. Enjoy your sweet sixteen party bus which is custom built with great sound systems and every amenities just for you to celebrate. There are numerous party bus rental options you can book for your celebration. Enjoy karaoke as you dance with your friends on your special occasion. You can pick up all of your friends from home and travel together to your special birthday party destination in Atlanta or any location in the surrounding areas. Enjoy the party atmosphere with your friends as you eliminate the need for everyone driving to the same location. Apart from social events and celebrations, elite Atlanta party bus services also provide limousine service for all your corporate needs. Whether you are holding a large corporate conference, or you are having small business team-building event there is a right size limo party bus for your occasion. If you need to transport a VIP client or impress a prospective client, our limousine buses are top-notch and will provide comfort, safety, and reliability they come to expect. Our airport transfer services cater for a family trip, CEO, company executivesor any other purpose. We will ensure you beat the traffic and make it in time for your flight or the days other activities you’ve planned out. 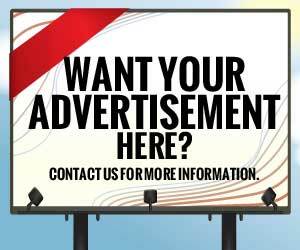 Enjoy unparalleled professional services that will leave the desired impression. One of the most memorable moments in a student’s life is Prom and Homecoming nights. Enjoy an incredible evening by sharing a party bus with your friends. Take pictures, dance and travel to your prom parties with the safest and most professional party bus rental possible. Our policies for transporting minors are strict and always enforced. 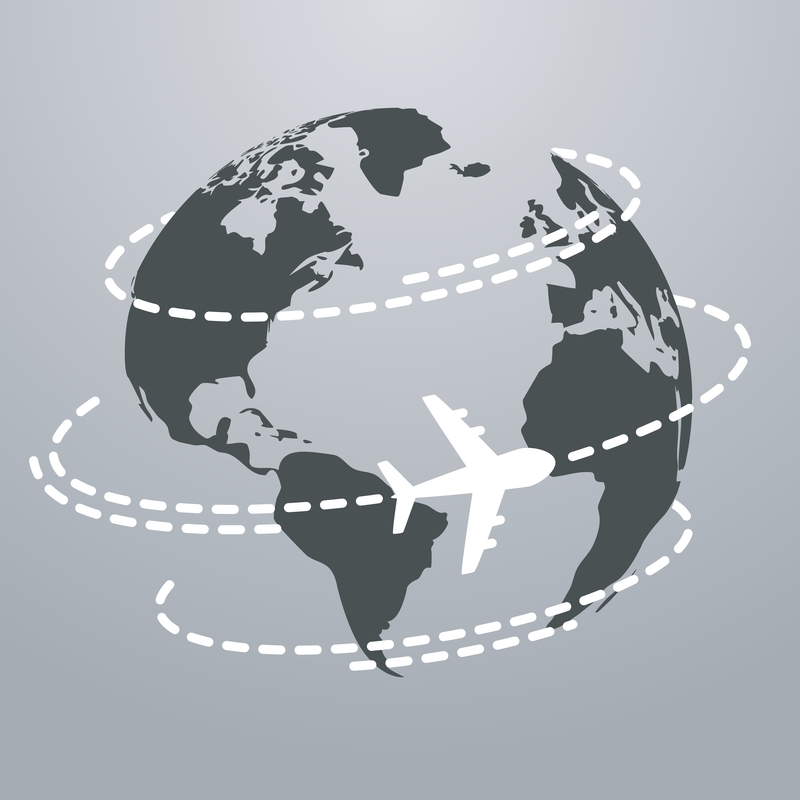 We assure parents can feel safe knowing their young adults are traveling with us. As an industry leader for close to 15 years, Topshelf Party bus provides professional chauffeured services for all your special occasions. With a mission to provide superior service, best deals in the region and personalized and safe transportation services for all their clients, Topshelf is an industry leader. Their large fleet operates 24 hours a day all year round and services include airport transfers and out of state trips. Action Worldwide transportation or simply Action Limo offers a wide selection of limousines to make your Atlanta occasion extra special. As a reliable, flexible, on-time and professional chauffeur transport provider since 1993, their commitment to quality service and meeting their clients’ needs has been the key to their phenomenal growth. Action Limo offers a wide variety of services for their clients. Their services include both corporate and personal services. From social occasions such as weddings to organized tours such as brewery tours, Action Limo has you covered. Party Bus For Atlanta is a chauffeur driven vehicle rental agency that provides mixed limousines, stretch limousines, SUV’s, shuttle buses and party buses. With an emphasis on etiquette, professionalism, and discretion, Party Bus for Atlanta works with qualified chauffeurs to ensure you have a memorable occasion. Equipped with all the audio and video equipment you would expect in a party bus, GoGo Party Bus ensures all the buses have your entertainment needs are met. Ideal for all your social events, our fully equipped party buses will keep your occasion entertaining and better still you can capture the memories with an Ipad Media Center that features the photo booth App. With an incredible background, experience and track record in limos and party bus rentals, we are recognized as the Greater Atlanta Metropolitan Area’s most outstanding party limousine service provider. Hot ATL Party Bus will accommodate your party bus and limo bus specifications regardless of your location. We promise to take great care of your guests and your finances by providing affordable rates unbeatable by our competitors. 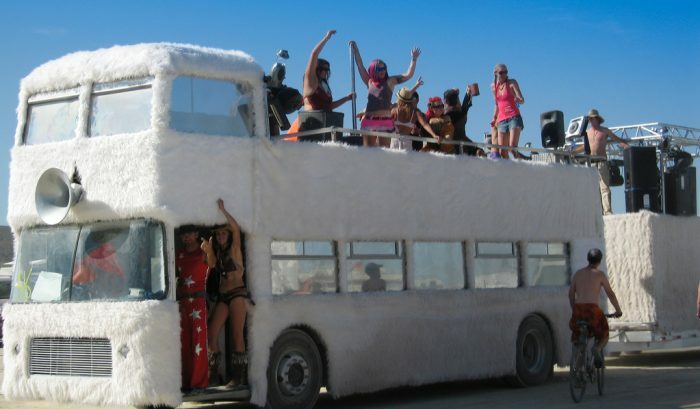 Boasting as the number one party on wheels, HotATLPartyBus.com promises to offer you a memorable experience. Our luxury fleet of buses comes equipped with, colored dance lighting, two TVs, PlayStation and Xbox for the ultimate party experience. An affluent uptown commercial district of Atlanta Georgia with some of the best restaurants. As the shopping mecca of the southeast, Buckhead also provides some of the best nightlife spots Atlanta has to offer. A high-density commercial area and an entertainment hotspot. With comedy clubs, bars and fine dining, Midtown Atlanta is one of the must visit places when enjoying your memorable party bus experience. Hotel District got its name by playing host to numerous hotels. The district is ideally located as it is walking distance to Atlanta’s many tourist attractions. The Atlanta City section of Druid Hills is an affluent neighborhood playing host to the CDC headquarters. Having read our guide, we hope that it has enlightened you on what to expect as well as make it easy to plan and choose your ideal Atlanta party bus rental. Want to Book a Party Bus in Atlanta? Have a question about booking a party bus for your bachelor or bachelorette party? Contact us for assistance!